April is one of the best times of the year to get out on the water in Virginia. The weather is cool, the bugs are not out yet, and it doesn’t feel like a tropical rainforest. 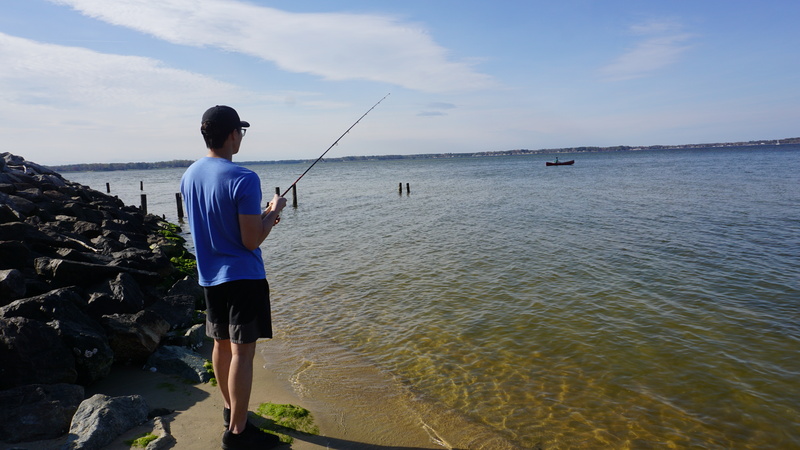 We used this opportunity to head east to where the mouth of the piankatank river opens to the mighty Chesapeake Bay. We brought out the ol prospector to hit the salty waters. This was our son’s first time at the beach also sitting in a canoe. He’s still a little too young to get out on the water but he was certainly excited to to get inside the canoe. The blue crabs don’t seem to be out and about yet, but we are getting the pots ready for May. It may also be possible to raise some oysters in these waters as well.This particularly area looks promising for all sorts of fishing. We spent the day, helping my father in law extend his deck, fishing and paddling. 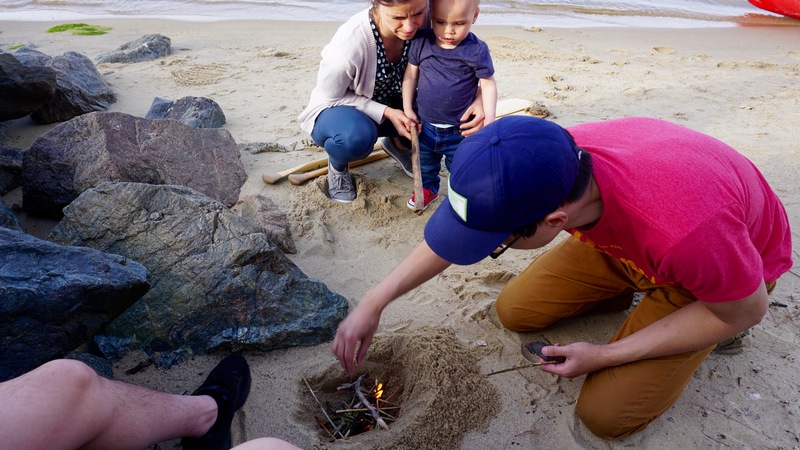 Although we didn’t catch anything, it was great to be outdoors, feel the breeze, warm in the sun and hunch over a small fire on the beach. I was able to finally take my drone out for its first flight. My in-laws got me a Parrot Anafi drone for christmas, and 4 months later I was able to take it out of the box and take it for a test flight. I don’t know much about drones, but this thing is awesome. It shoots in 4k and would help take movie making to a whole new level. Hopefully I’ll be able to take it some canoe trips in the near future up north. I’m planning to take 2.5 months off at the end of my residency to spend more time with the family and go on some trips. With only 2 more months of training left to go, I find it hard to focus because of the prospect of finally finishing. The trouble now is deciding where to go with an 18 month old. He’s too young for a backcountry canoe trip although I’ve heard of people tripping with toddlers. One potential is trekking out to Utah to visit the major 5 national parks. Another option is somewhere in western canada for a couple of weeks. Whatever we come up with, I’ll be excited to be away from the hospital. Let the countdown begin…. His first beach fire with his uncle. 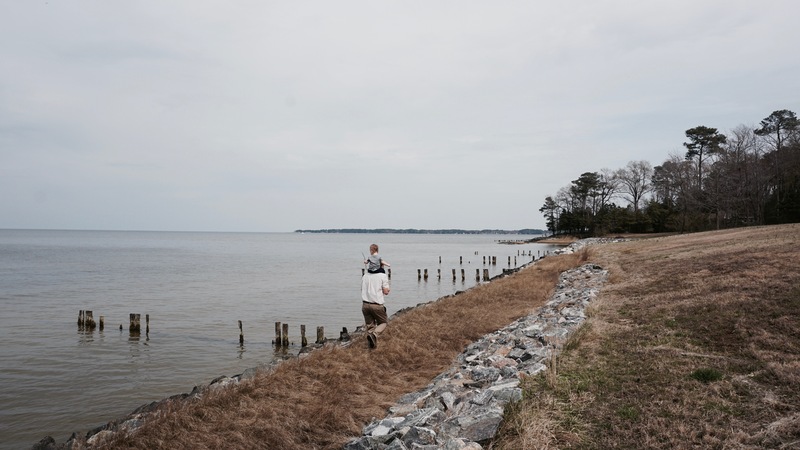 We explored the lands of my father’s cottage at the opening of the Chesapeake Bay. It has always been his dream to build a cottage and a retreat for all of his kids and grandkids to enjoy. Our quick survey of the land was promising; the area was teeming with wildlife. From herons, egrets and hawks to oysters and of course the Chesapeake blue crab. Back in the 1600s, the blue crab was a crucial source of food for Native Americans and European settlers in the Chesapeake Bay area. Today, this crustacean is an icon of the Chesapeake Bay region and their success in these waters have allowed numerous restaurants and businesses to thrive in the Virginia and Maryland. I don’t know much about trapping crabs, but it’s time to get out there and learn. Maybe even learn to raise some oysters along the way…. December 9, 2018 – We were hit with an early and unexpected snowstorm, accumulating over 13 inches in Richmond, Virginia. This is certainly an early start to the snow season for us and much heavier than in the past. After a review of the Richmond weather records dating back to 1897, the heaviest snow that occurred earlier than Dec 10 was 7.3 inches on Nov 6-7, 1953. The record for December snowstorm for Richmond was 17.2 inches on Dec 22-23, 1908. Stay safe out there. A lonely lagoon in Patagonia. I was always amazed at how much tide these small bodies of water harnessed. It seemed like the winds at the southern tip of the planet were always howling… it made you feel like you really were at the ends of the world. A beautiful and powerful place. I took this photo back in 2016 in Torres Del Paine National Park – Patagonia (Chilean side). Fiery maple trees in Richmond, Virginia. I’ve lived in Richmond for 16 years now, and this past summer has certainly been the wettest one to date. The month of June saw a total of 13.32 inches of rain (normally an average of 3.94 inches). It seemed to have rained pretty all summer. We were lucky in Virginia to have avoided the heart of hurricane Florence that wrecked havoc in the carolinas. The hurricane did spawn several tornados that made their way through Richmond, causing significant damage and killing one person. There is no denying, that our climate is in flux. Each year, the temperatures are hotter, the storms stronger and the atmosphere more volatile. While mulling about climate change in the rainforest that is our backyard, I stumbled across a surprise from last year’s planting. Fresh raspberries that somehow found enough sunlight to bloom…..
Here’s to a better autumn! 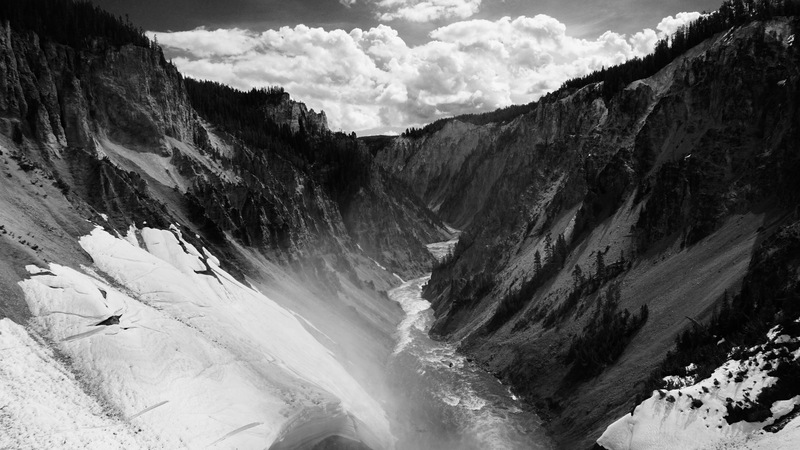 In 1872, President Ulysses S. Grant, signed into law, the establishment of the first national park in the United States…Yellowstone National Park. This massive national park covers a whopping 3,468.4 square miles; larger than the states Rhode Island and Delaware. 96% of the park is in Wyoming, 3% in Montana and approximately 1% in Idaho. 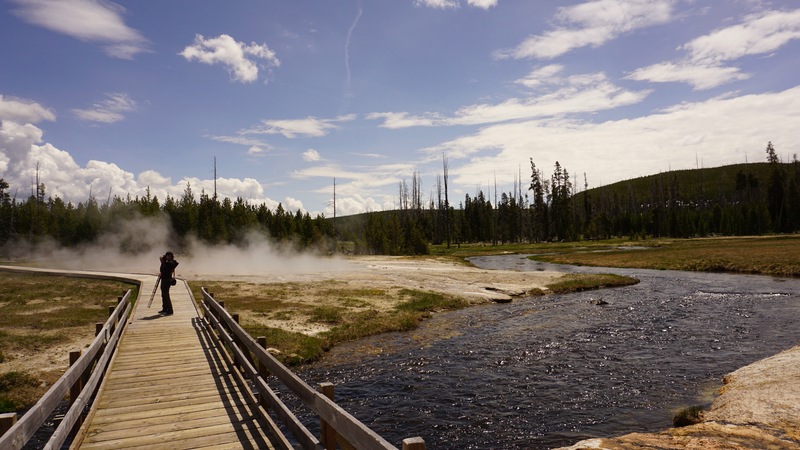 The stories of Yellowstone and its spectacles are well known to people from all over the world – Old Faithful, the roaming bison, the brilliant springs, and the massive waterfalls. Minh is thrilled once we reached Gardiner, Montana. The gateway city to the north entrance of Yellowstone National Park. I wanted to see for my own eyes, the landscapes, wildlife and magic, that inspired a country, to begin protecting and celebrating these areas known as National Parks. In today’s turbulent political climate, it seems as if our country has forgotten about these places, and we are unfortunately heading in the complete opposite direction. More and more wilderness areas are under threat each day, as efforts to seek new resources take priority. At this rate, who knows how much of our planet will be left in 40 years. I wanted to get away from work, politics and the debates and go explore the wild west for myself. Sarah and I were fortunate enough to be able to rearrange our schedules to have 8 days (5/19-5/26) off together to explore Yellowstone and the Grand Tetons in Wyoming. 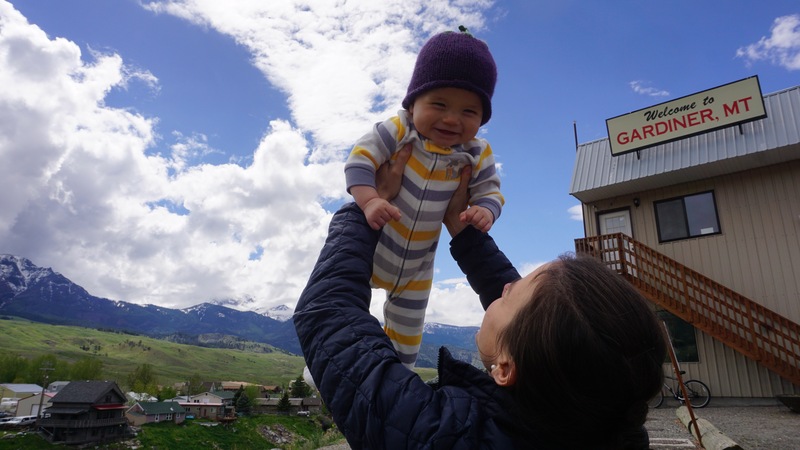 We realized this was an ambitious trip, considering the fact that we were bringing our 7 month old boy along; but we were eager to adventure as a new family. 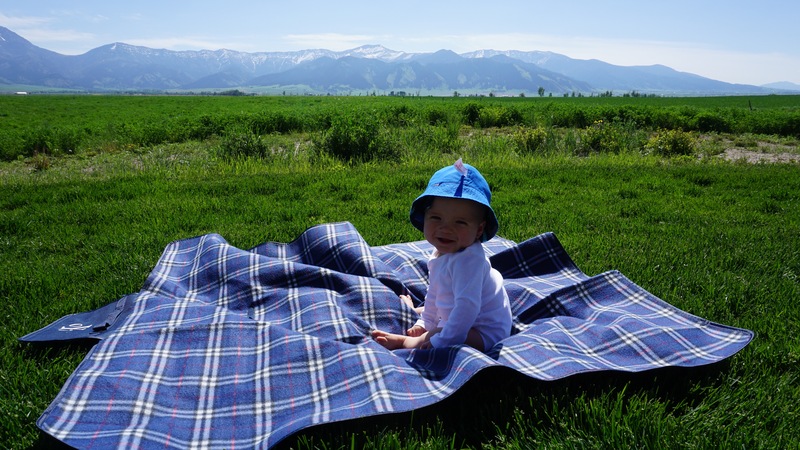 I quickly learned that traveling with a baby, turned simple trips…into expeditions. We carefully thinned out our luggage so that we could make room for all of Minh’s clothing, toys, food and milk. He did remarkably well over both legs of the flight (Richmond to Atlanta then Atlanta to Bozeman) and then the three hour drive to Yellowstone National Park. We stopped frequently along the way to make sure he could eat, crawl around, and get some fresh air. I actually preferred the slower pace of traveling with a baby. It helped removed us from from our hectic daily routines and pace of life back in Richmond. Minh taught us to slow down and take everything in. We often found ourselves parked next to the road feeding and playing with him in the back seat or trunk. We took in the serene, roadside skylines of Montana and Wyoming without much care for anything else. When planning a trip to Yellowstone, the lodging options are both varied and abundant. We were traveling with a baby so we knew that we wanted to be in the actual park. This would help cut down our travel time each morning and allow us to see as much of the park as possible. For those traveling with some more flexibility, there are several good options to explore, such as small towns just outside Yellowstone (ex. 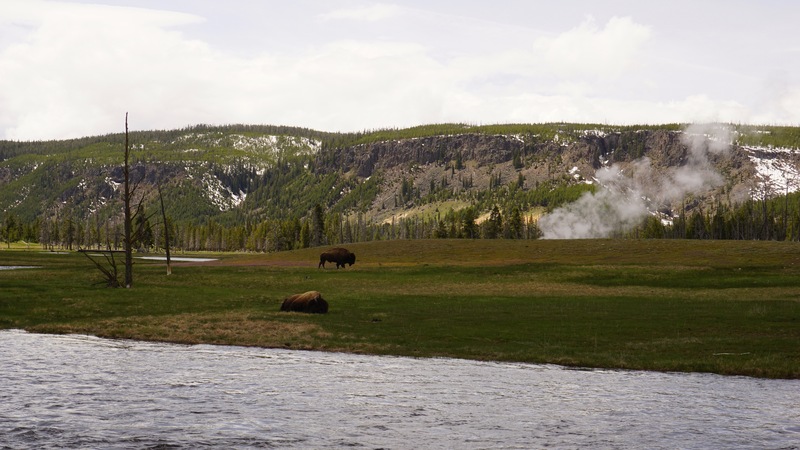 Gardiner and West Yellowstone) or even camping options within the park. We booked one of the last spots in the northern section of Yellowstone at the Canyon lodge. Despite traveling during shoulder season to avoid the crowds, all of the lodges seemed very busy. I could not imagine what it would be like during the summer (peak season).The next morning, we were eager to explore the raw and rugged spaces of Yellowstone in broad daylight. There certainly is a palpable pulse in the earth of Yellowstone. This massive park is centered over the largest super volcano on the continent. The landscape never lets you forget that you are treading over a sleeping giant of a volcano. 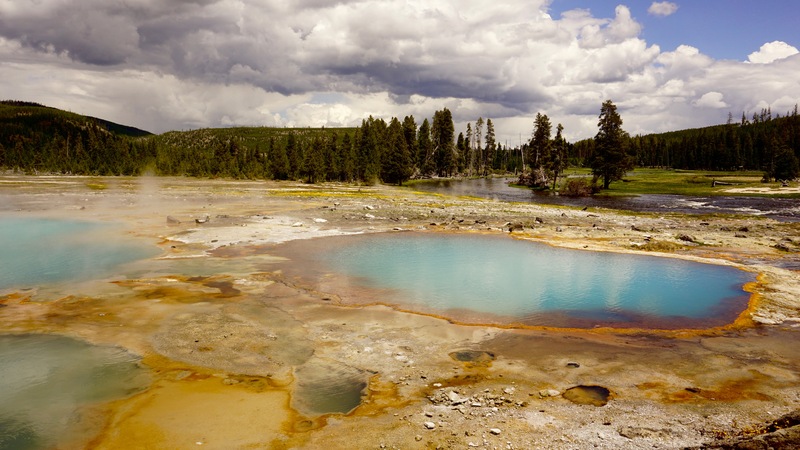 From the steaming hot springs, bubbling mud pits to the spitting of geysers, this place is certainly alive……..and mighty. As the first national park to be created, Yellowstone certainly makes you feel as if you are at the heart of it all. I’m glad that we packed for all different types of weather, because at 7500ft, things could change really quickly. In the early morning hours, the park is draped in a blanket of fog which clears usually by about 9:00am. We had sunny days for all of our time at Yellowstone which was very lucky considering the forecast predicting light rain and cloudy skies. In true mountain fashion, we were hit with a snow flurry as we were leaving the park. I was surprised to learn that it is not uncommon to get snowfall as late as July!I was also surprised to learn that it took me quite some time to get used to the high altitude. Strenuous activities tired me out faster than usual and I had a very mild headache the first 24 hours. The decrease oxygen concentration is certainly noticeable in my opinion and it is not recommended for people with pre-existing coronary artery disease to travel at such heights. This lower oxygen content could put the coronary arteries of the heart in a dangerous scenario of supply and demand mismatch, leading to worsening ischemia and therefore angina. So if you have pre-existing coronary artery disease, congestive heart failure, or pulmonary hypertension make sure you get cleared by your physician before. (my only medical plug in for this article). 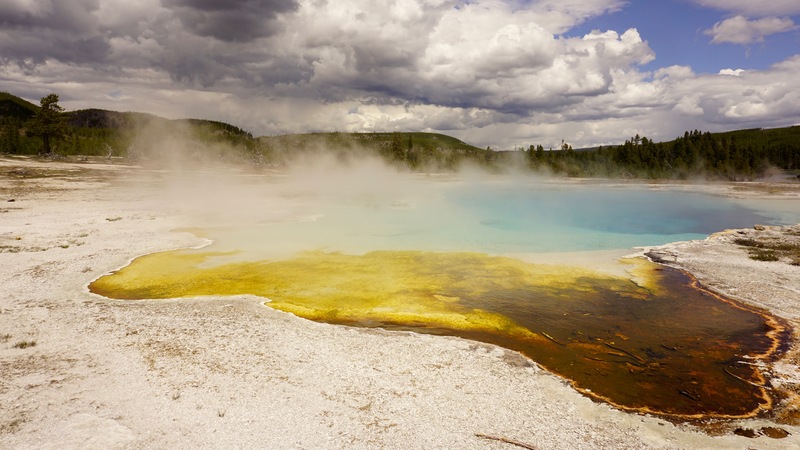 Yellowstone is divided into villages which are centered around main attractions such as Yellowstone Lake, Old Faithful, Grand Canyon of Yellowstone and Mammoth Hot Springs. As a result of this set up, I feel like Yellowstone has a more “touristy” feel, than most national parks. During peak season, cars are lined up back to back and alongside the roads, with frequent stops as visitors often pull to the side for photos of bison or landscapes. One could always take the beaten path and venture into backcountry Yellowstone, for a more secluded experience. With Minh coming along, we actually wanted the “tourist” experience, with access to bathrooms, restaurants and drive-up landmarks to visit. I don’t think he’s quite yet ready for backcountry Ontario canoe camping ;). We spent the next 4 days and nights exploring all quadrants of this magnificent land. We started each day at the Canyon Lodge for an early, hearty breakfast. We would then drive to the farthest part away from the lodge and then starting working our way back at each site. Although the main attractions (Old Faithful, Grand Prismatic Spring etc) were spectacular sights to see, I think my favorite parts of the park were the lesser known attractions such as the mud volcano and the mouth of the Yellowstone River as it opened up in to the grand canyon of Yellowstone. These were areas where you could get away from the crowds and listen to the breathing of earth below us. The second leg of our adventure took us to Jackson Hole, Wyoming where we spent the next two nights at the Lodge at Jackson Hole. This was our home base for exploring the Grand Tetons and surrounding Jackson area. We were skeptical that we would actually see the tetons because of the predicted rain for the next two days. Still hopeful, we packed our lunches and head out to explore Grand Teton National Park. A short 30 minute drive from Jackson Hole, the teton range certainly has a different vibe than yellowstone. It had more of a national park “feel” that I was used to. The crowds were not as intense and the pace a little slower. Miraculously, and I don’t know how, but we were blessed with unexpected sunshine that cut it’s way through the clouds and parted a view for us to the teton range. We watched in marvel as more and more of the Tetons emerged into fire before us. The sunshine stayed with us for the rest of the day. Unlike yellowstone, Grand Teton National Park is not situated over a super volcano. As a result, the landscapes are less raw, and more majestic, it appears a bit more hospitable to wildlife but I’m not a geologist or biologist. Within the first few hours in the park, the locals felt like showing off, we caught sight of a mother grizzly and her cubs, moose, elk, antelope and of course bison. We spent the day driving from site to site and sitting in the back of our car, playing with Minh and watching the sun, and clouds revolve through the most gorgeous landscapes. Before we knew it, our time out west was drawing to a close. We had one last night left in Belgrade, Montana ahead of us before we went home. The drive from Jackson Hole to Bozeman, Montana was one of my favorite parts of the trip. The drive through Idaho was spectacular. We climbed high into the mountains before traveling through some of the flattest land I’ve ever seen. The 4 hour drive brought us just outside Bozeman where we would spent the night at Ross Creek Cabins, a set of charming small cabins run by a very nice couple, Steve and Karen. 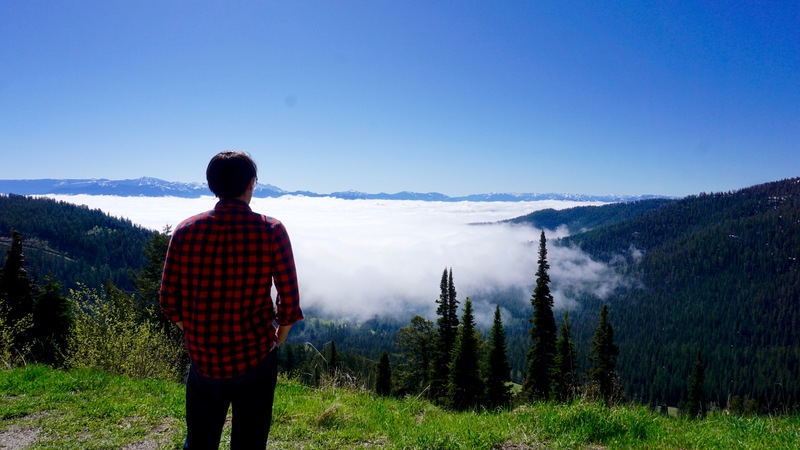 I highly recommend this place for anyone looking to exploring Bozeman and the surrounding areas. As we sat by the campfire reflecting on the past 7 days, we both realized that this was the first time that we were going to see a sunset out west! We put Minh to bed every night around 7:00pm so we haven’t seen a single one prior. As we sat there watching the orange and purple hues collide, with a gentle dry breeze across our face, I just thought one thing……I love this land. 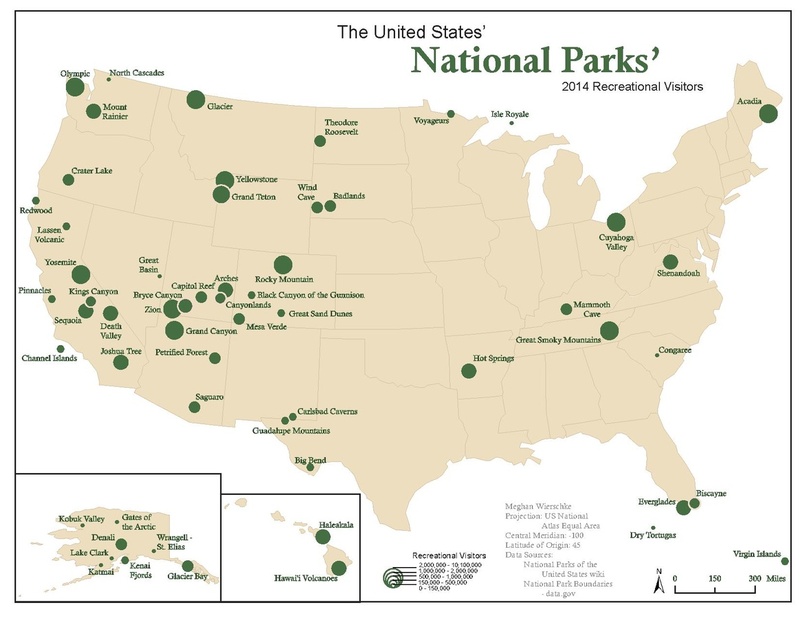 There are 60 National Parks in the United States. How many have you been to? Hanging out with our baby in Grand Teton National Park. This little guy spent a week traveling through Montana and Wyoming and handled it like a champ. Hopefully I’ll have some time to upload some photos and stories soon!